It looks like a barn but it’s really Dad’s garage. At least, that’s what it reads on the door. This pole barn garage was not the first pole barn we have built for this gentleman in Woodway Washington. We have built 2 other garages for him in the past. This one however, was the most unique one! We build to any size, shape and need our client’s require, customizing their post frame construction to their specifications. 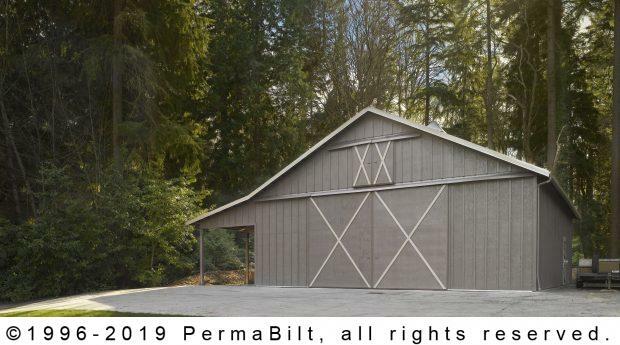 And if they want a garage to look like a pole barn, not a problem. We love the creativity and challenge. 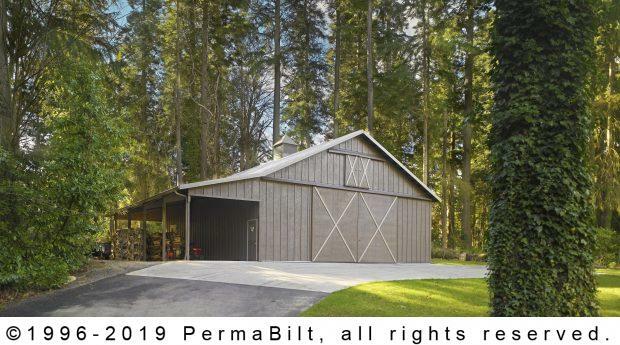 Per the direction of this customer, we added a non-operable hayloft sliding door and two 4’ x 8’ Dutch wood doors to help sell the garage’s barn facade. 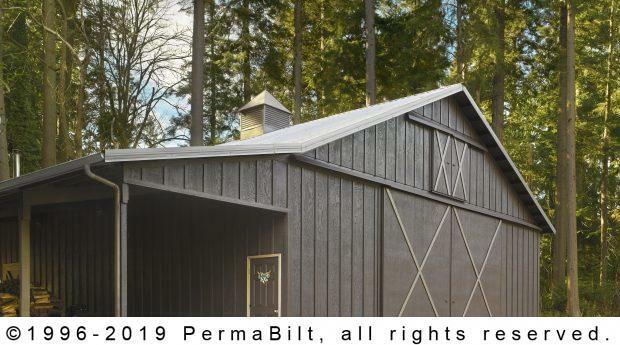 Working with our PermaBilt® Building Representative, our customer decided on what design, color and accessories he wanted. For example he wanted a carport (which was used to also store firewood) and sliding garage doors for easy access when he’s parking his boats during the off season. These sliding doors is something that PermaBilt® prides itself in terms of craftsmanship that go es into every sliding door that is put up. Each door is constructed on site. And every door comes standard with aluminum side rails, aluminum bottom guides, handles and latches. These important elements mean all the difference when putting together a quality post frame building. "Their professionalism and diligence have reassured me that there are companies that fulfill their promises."